When Will I Know If I Have Enough Debt To File For Bankruptcy? That depends on what you believe to be ‘a lot’ of debt. For some people, once they reach several tens of thousands in credit card, several thousand more in medical bills, a few hundred in payday loans, and when many of the creditors are starting to sue of the existing debts. For others, they are able to see the ‘writing on the wall,’ and recognize that the example given above is in the near future. And still others will wait years before they even consider filing for a Missouri bankruptcy, enduring endless phone calls and harassment, because the mere thought of doing such a thing is devastating. Even if these situations do not precisely fit the description of where you are in life, you probably fall somewhere in between. The main thing to keep in mind is that, regardless of how much debt you currently own, the pressures of dealing with it can be alleviated immediately upon filing for bankruptcy. No more phone calls, threatening letters, law suits, or any collection activity whatsoever. Once the debts are discharged, you will have moved into what the court describes as a ‘fresh start / clean slate’. This discharged literally wipes the slate clean, and gives you the chance make a fresh start in life by moving forward. And opportunities to rebuild your credit rating and/or score will be immediate. Most individuals believe that filing a St. Louis Chapter 7 bankruptcy or a St. Louis Chapter 13 bankruptcy will ruin their chance at ever reestablishing a good credit history (and that they’ll never again be able to buy a car, or a house, or even purchase a pair of socks at JC Penney). But the exact opposite is true: Within a couple of years after filing for bankruptcy, you will generally be in a position to make purchases such as house. And improving your credit rating by more immediate methods is available, too, such as getting another credit card. So it is not necessarily a question of whether or not you own ‘enough’ debt to file for bankruptcy (because theoretically, you can owe a very minimal amount of debt and still file). What matters most is the extent to which the debt is making your life miserable. If you are living under complete stress, that is in turn affecting your ability to function (and deal with all the things that come up from day-to-day), then it is probably a good idea to consider filing for bankruptcy, and getting all the money you owe knocked out. 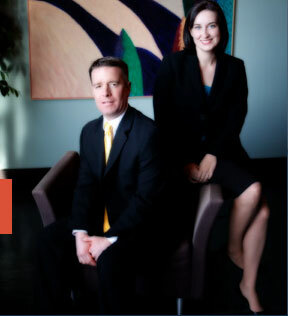 The affordable St. Louis bankruptcy attorneys at Brinkman & Alter, LLC have been making sure that clients receive the fresh start / clean slate that they deserve for over ten years. Our goal is to help guide each person through the entire process, and ensure that you understand exactly how each step works. All phone conservations and office consultations are free of charge.